We already know what are the most important lock types and how transaction isolation levels affect locking behavior. Enough theory – today I’d like to show you simple example why blocking typically occurs in the system. First, let’s create the table and populate it with the data. 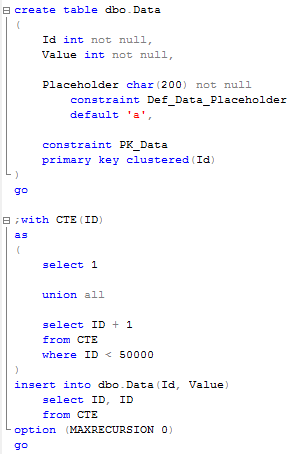 As you can see, this table has 50,000 rows now and 1 clustered index on ID column. Now let’s start another session and run update statement that acquires the lock (update row with ID = Value = 40000). I’m using read committed isolation level but that behavior occurs in any pessimistic isolation level (read uncommitted, read committed, repeatable read and serializable). Next, let’s take a look at the list of the locks in the system with sys.dm_tran_locks DMV. I don’t have any other activity in the system but in your case, you can filter results by request_session_id if needed. So we can see 3 active locks: exclusive lock on key (row) level and 2 intent-exclusive locks on the page and table levels. 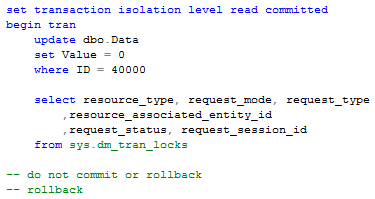 Now let’s open another session and run select with filter on ID column in the read committed isolation level (you’ll experience the same behavior in repeatable read and serializable isolation levels). 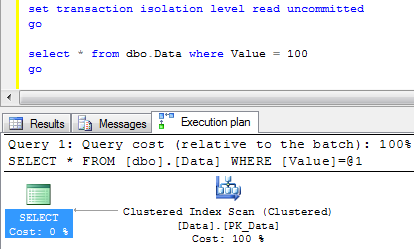 This select executes just fine with clustered index seek in the plan. Now let’s change select and replace filter on ID column with filter on Value column. This select should return the same 1 row but it you run it, it would be blocked. If we query sys.dm_tran_locks again, we can see that the second session is waiting to acquire shared lock. Let’s terminate the select and take a look at estimated execution plan. As you can see, the plan changes to clustered index scan. 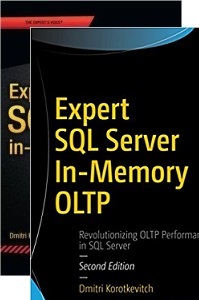 We know that this select returns only 1 row from the table but in order to process the request, SQL Server has to read every row from the table. When it tries to read updated row that held exclusive lock, the process would be blocked (S lock is incompatible with X/IX locks). 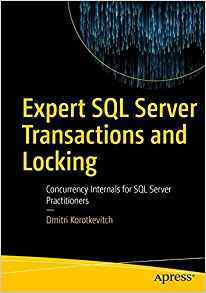 That’s it – blocking occurs not because multiple sessions are trying to update the same data, but because of non-optimized query that needs to process/acquire lock on the data it does not really need. Now let’s try to run the same select in read uncommitted mode. As you can see – select runs just fine even with scan. As I already mentioned, in read uncommitted mode, readers don’t acquire shared locks. But let’s run update statement. And this is the typical source of confusions – read uncommitted mode does not eliminate blocking – shared locks are not acquired, but update and exclusive locks are still in the game. So if you downgraded transaction isolation level to read uncommitted, you would not completely solve the blocking issues. In addition to that, you would introduce the bunch of consistency issues. The right way to achieve the goal is to illuminate the source of the problem – non-optimized queries. Next time we will talk how to detect such queries. 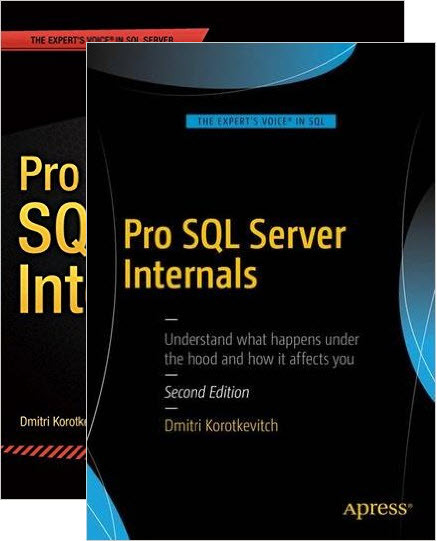 This entry was posted in General, SQL Server 2005, SQL Server 2008 on May 12, 2011 by Dmitri Korotkevitch.